If you have ever felt that brick-and-mortar stores are doomed due to the huge success of online stores, you are wrong! Because, both offline and online stores are complementary, and none of them can be redundant. Why Is Combining In-Store & Online Retail The Best Strategy? 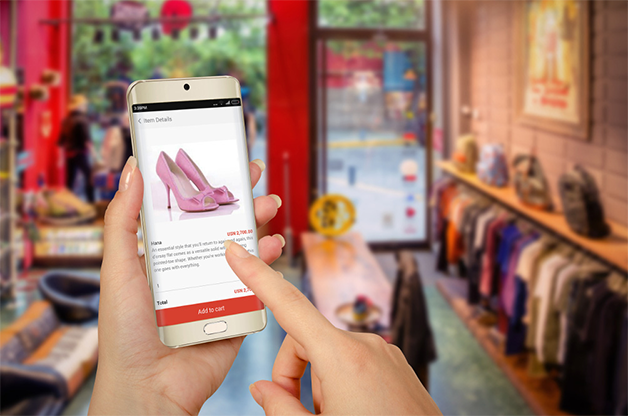 Here are a few reasons why a combination of clicks and bricks, i.e., e-commerce and brick-and-mortar stores, helps you maintain a competitive edge. When e-commerce was a real boom everyone thought that it is going to severely challenge the traditional retail stores. For a few years, it seemed to be proving so. But things took a U-Turn thanks to the emergence of Omnichannel model of retailing. Offering your online shoppers with a digitally-enhanced in-store experience can do wonders to your customer loyalty. Besides treating them with live inventory availability, product reviews, personalized product recommendations, product search, etc. from your online portal, give them the virtue of physical interaction with products and immediate takeaway. This is the best way to offer a seamless omnichannel shopping experience. A survey conducted by TimetTrade to study the perceptions and habits around retail shopping reveals that 85% of consumers prefer to shop at physical retail stores. As per the study, though shoppers depend on online stores excessively for product discovery, they prefer an in-store experience to really purchase the product. In other words, shoppers use a cross-channel tactic that translates an initial product hunt in the digital channel into an in-store final purchase. Many legacy e-commerce retailers and legacy brick and mortar retailers have successfully evolved in this Omnichannel landscape. 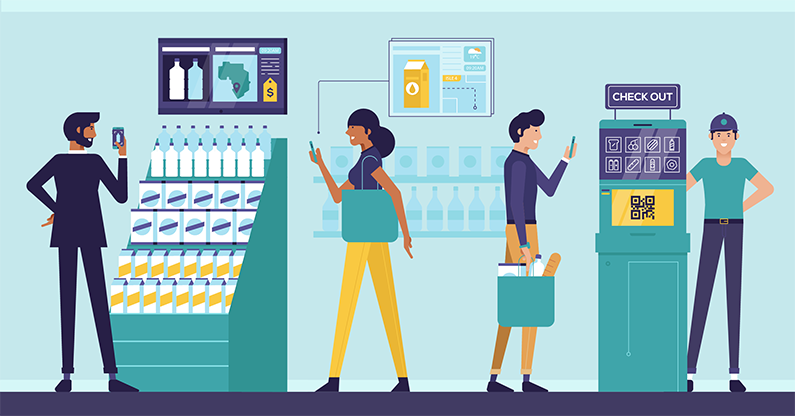 They show us some excellent means to connect with shoppers through more than a single channel or shopper touch point. Amazon, the e-commerce goliath, is hugely investing in brick and mortar stores. 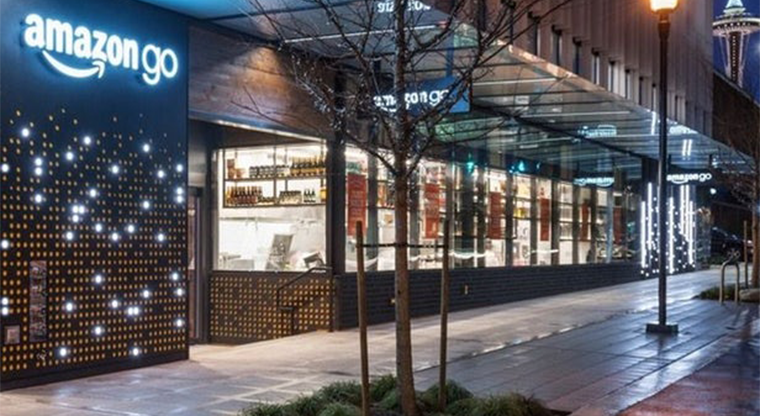 Amazon continues to expand its very own brick & mortar book retail after opening its first Amazon Books shop in an upscale mall in Seattle in 2016. The brand has established a dominating physical presence in the form of Amazon Pop-up Kiosks, AmazonFresh Pickup (a drive-in-type grocery store for Amazon Prime subscribers), Whole Foods stores, Amazon Treasure Trucks, etc. The large chain retail corporation, Walmart, is merging its widespread offline presence with thousands of brick and mortar stores with an impactful online presence. Walmart is excellently catching up with Amazon by rolling out a huge number of online grocery pickup services in different locations. It has also unveiled an online bedding brand – Allswell. Walmart’s biggest strength is its network of more than 5000 stores that act as delivery hubs and pick up points. To facilitate a seamless shopping experience it has also introduced an associate-initiated Check Out with Me – a new service to cut the lining up at the payment kiosks. Wayfair, the reputed American e-commerce brand that sells home goods, has recently revealed its plans to open a first full-service retail store. Though the brand already has some popup shops, this one is aiming to push the frontiers of omnichannel retailing further. The new shop will offer design assistance through free consultations, home improvement ideas, help in décor selections, etc. The subscription beauty box retailer, Birchbox, opened its first full-line physical retail store in New York in 2014 and its second physical store in Paris in 2017. It also owns a few pop-up stores. Walgreens acquiring a minority equity interest in Birchbox also helped the brand to expand its physical footprint as the beauty-in-a-box start-up can recreate their experience in Walgreen’s stores. Warby Parker, the reputed online eyewear retailer who takes the lead in online to offline, has an aggressive brick and mortar strategy. The online-only brand now has more than 70 physical locations and is headed towards a hundred. The brands integrate online and offline experiences perfectly by offering on-the-spot eye exams, next-day, and direct-to-door service, etc. Now it’s a common sight that many digitally-born retailers are taking the dive into physical retail. All the previous predictions of physical stores shutting their lights off were short-sighted. Now the most fruitful retail strategy is the coexistence of Clicks and Bricks and it is high time we end the Clicks Vs Bricks battle. Are You Planning to Launch an E-commerce Business? Your goal to launch a beautiful and functional e-commerce website can be fulfilled through our experienced Agile developers. We have expertise in a range of e-commerce platforms including Magento, Litium, Shopify, etc. to small, medium, and large businesses/ corporate enterprises.